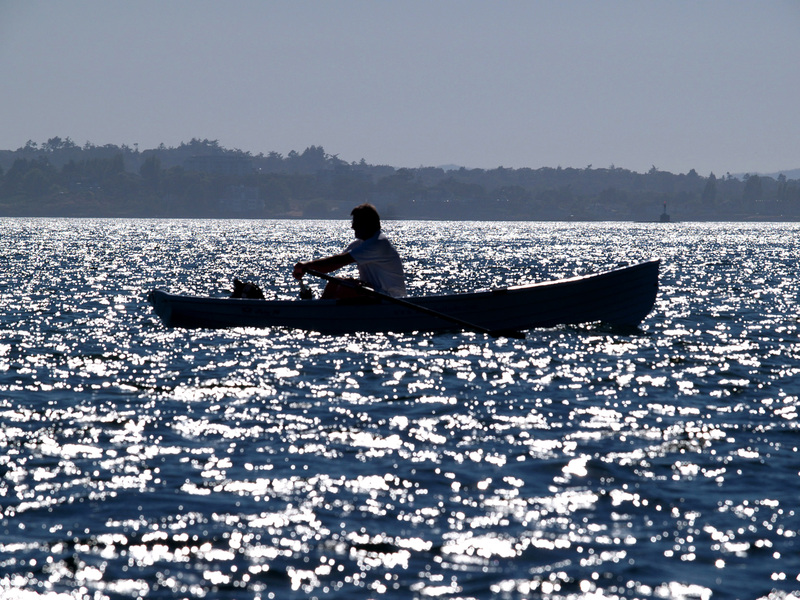 For me, there’s nothing more enjoyable than simply messing about out on a lake, a river, or the ocean in a sleek beautiful rowboat. When I’m out in open water I feel a deep connection with the wind, water and sky. No noisy smelly motor to dull the senses and create a false sense of security. Just me, my boat, and the peace of mind that comes from disconnecting from the rat race for a bit of serene pleasure afloat. 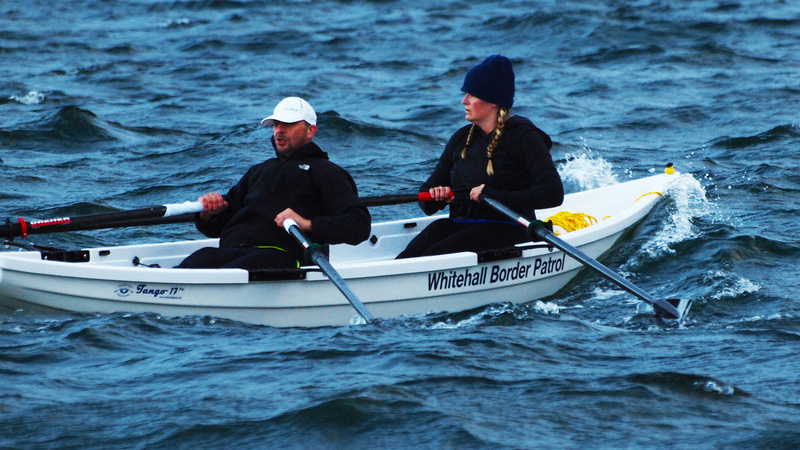 My Whitehall Solo 14 all-water rowing boat is the best of the best. 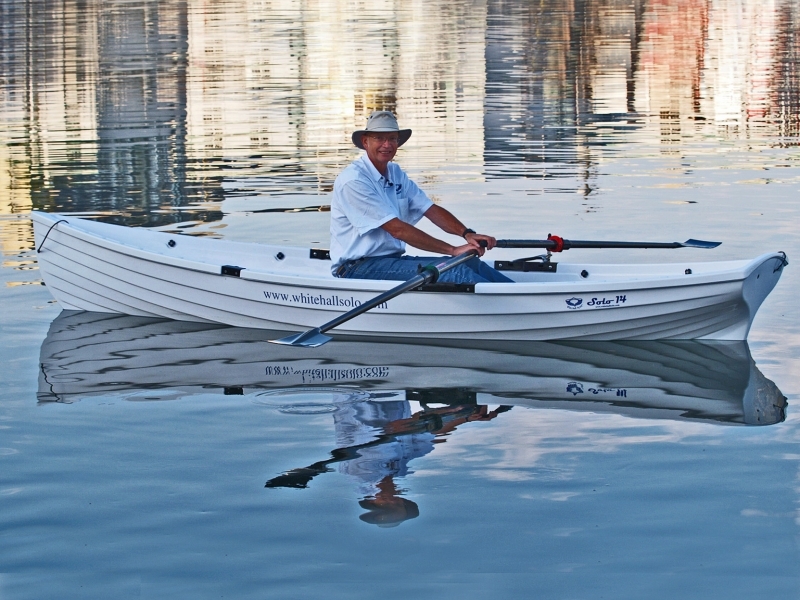 As the name implies, the Solo 14 is for a single rower. 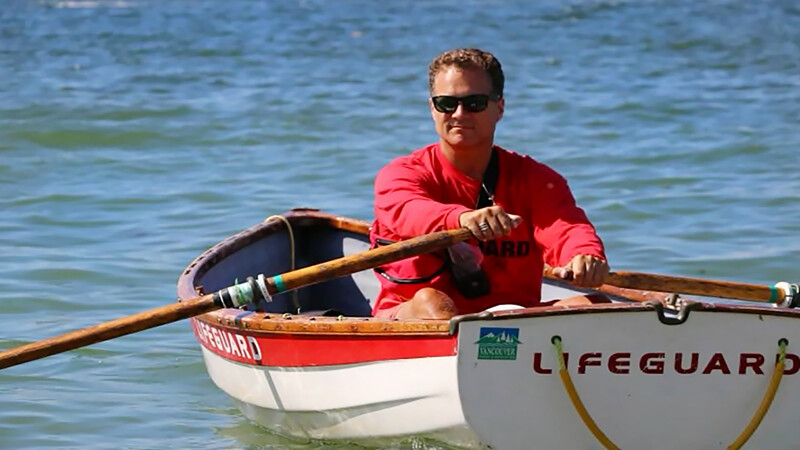 If I want, I can carry a person or two, or my dog, but I prefer just myself, alone with the rhythm of the waves, the smell of fresh clean air, and the pull of the oars. Holding an oar handle in each hand I push out with both legs and my seat slides back as I pull on the oars, perfectly extending my stroke while the long ultra light carbon fiber oars act as giant levers effectively biting onto the water, transferring the power of my legs, my core muscles, back and arms to the oar blades. 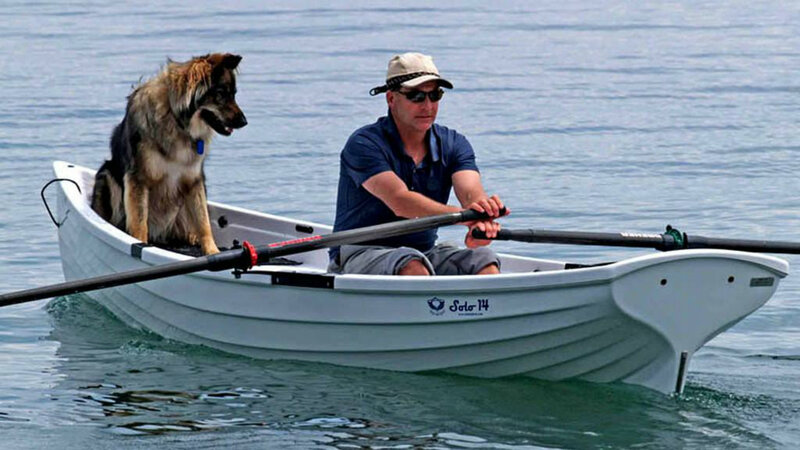 My “all-water” Whitehall rowboat is like an all-terrain vehicle or a mountain bike of the sea. 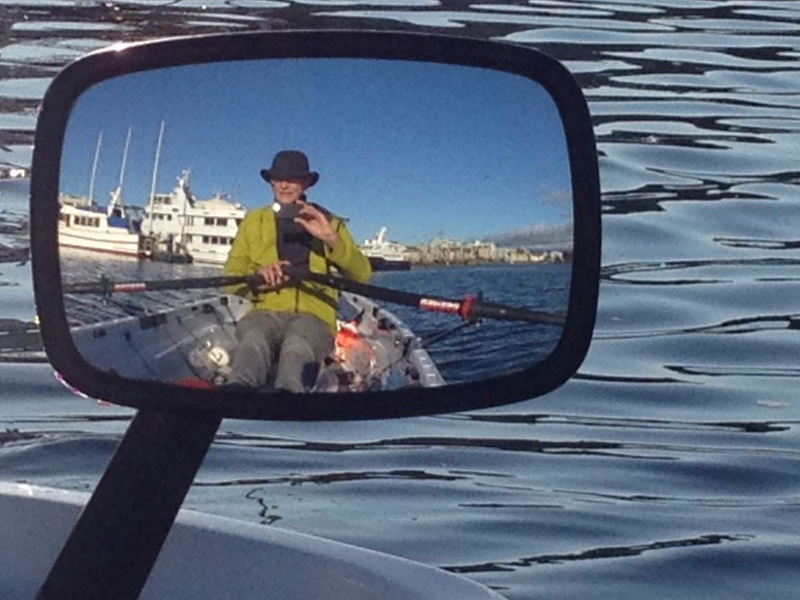 It’s at home rowing in flat calm water, or out in wind and waves. For me, it’s all about getting away, out into the wild blue yonder, feeling free from my concerns, and all my land based responsibilities. Gliding along with the shore far off in the distance creates a clear peaceful mental space. The patterns of the waves, the sound the boat makes as it cleaves through the water. The birds, the sea life and the clear fresh air all combine together creating a healing experience for my mind and my body. I love how my body feels after an hour of rowing. Gently worked out with no aching muscles or sore spots. 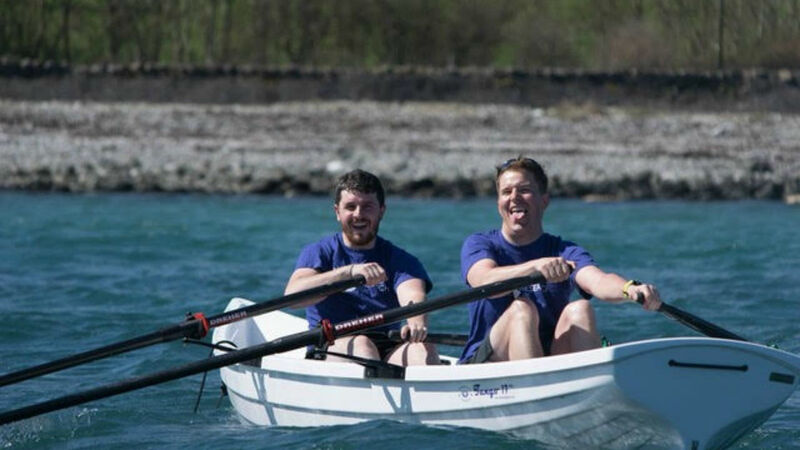 Rowing an all-water boat is said to burn double the calories of jogging because 90% of the body’s muscles are engaged while doing it. I can honestly say that I always return from my row refreshed, revived, renewed and ready to carry on with life.